The use of marijuana for recreational purposes was legalized across Canada in October 17, 2018. As a result, driving while ‘under the influence’, which now includes under the influence of cannabis, is starting to have legal and insurance repercussions in the auto insurance industry. Your car insurance coverage may need to change, too. Last July, Ontario adopted a zero-tolerance approach for drivers under 21, drivers who hold their G1 or G2, regardless of age, and commercial drivers. According to Insurance Hotline.com, if any amount of cannabis or illegal drugs are found in their system, it results in an immediate roadside driver’s licence suspension. Insurance companies are falling in line with the new provincial legislation regarding impaired driving, which now includes use of cannabis, and are adjusting policies to align with provincial policy. They are also keeping an eye on what’s going on south of the border. 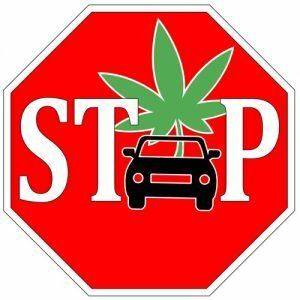 Colorado: the impact of marijuana legalization on auto insurance rates. Close attention is being paid in Canada to US statistics, where nine states and Washington, DC, have legalized marijuana for recreational use for adults over the age of 21. Business Insider reports that Colorado was one of the first states to fully legalize the drug, in 2014. As a result, in Colorado today there are more marijuana dispensaries than Starbucks and McDonalds locations combined. BNN Bloomberg points out that it’s no coincidence that drivers in that state have seen a 54% hike in their insurance premiums. According to CBC News, Canadians could face rising auto insurance costs as well. Kristine D’Arbelles, spokesperson for the Canadian Automobile Association (CAA), said the insurer’s first focus is public education to prevent cannabis users from driving. While D’Arbelles said CAA does not plan to change premiums as a result of the legalization of cannabis, she added that the industry is keeping a close eye on trends, data and impact from legalization, and “will adapt accordingly”. If cannabis-related car accidents increase, drivers’ premiums will, too. It’s clear that Canadians need to pay closer attention to the importance of not driving under the influence of cannabis. CBC News posted a troubling new survey from Statistics Canada revealing that more than a million Canadians have recounted being the passenger in a vehicle driven by someone who has consumed cannabis within two hours of driving. BNN Bloomberg reports that about one in seven cannabis users with a driver’s licence have admitted to driving within two hours of using it. From a road safety perspective, these stats are alarming, and insurance companies have made note of them. Now that recreational marijuana is legal in Canada, we’d like to sit down with you to review what that means in terms of your own auto insurance policy. One of our knowledgeable and caring agents will explain if and how the new legislation might affect your policy, and what we can do to minimize its impact, if indeed there is any impact. Our goal is to provide a car insurance policy tailored to your unique needs, and to ensure the protection you deserve.